In the following, we will inform you about the gathering of personal data while using this website. Personal data are all data that can be connected to you personally, such as name, address, e-mail addresses, user behavior. (1) Liable pursuant to Art. 4 para. 7 EU General Data Protection Regulation (GDPR) is Keller Sports GmbH, Balanstraße 73 in 81541 Munich, represented by managing directors Moritz Keller, Jakob Keller, Florian Otte, and Marcus Trute, cf. our imprint. pursuant to Art. 7 para. 3 GDPR the right to at any moment withdraw your previously given consent for data processing from us. This will have as a consequence that henceforth we are no longer allowed to continue processing data based on that consent. The legality of any consent-based processing that took place before the withdrawal of the affected person remains unaffected. pursuant to Art. 77 GDPR the right to complain to the responsible data protection supervisory authority if you are of the opinion that by processing the personal data gathered over the course of you visiting our website we violated your right of informal self-determination. Keller Sports GmbH is under the authority of the bayerisches Landesamt für Datenschutzaufsicht (Bavarian State Office for Data Protection Supervision). in case your personal data gets processed based on legitimate interests pursuant to Art. 6 para. 1 s. 1 lit. f GDPR, the right to pursuant to Art. 21 GDPR appeal the processing of your personal data, insofar as that is justified by the existence of reasons resulting from your special situation or if the appeal is directed against direct advertising. In the latter case, you have a general right of appeal that we will put into effect without special circumstances claimed. We put up-to-date technical measures in place in order to ensure data security, especially in order to protect your personal data from risks during data transfer as well as from third parties accessing them. 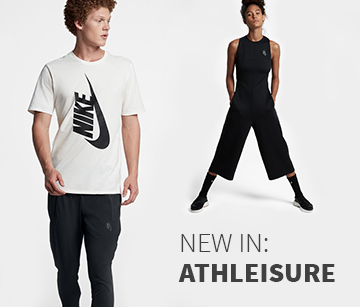 These receive updates to meet the respective current state of the art. 2. In addition to the previously stated data, cookies will be saved on your computer as you use our website. Cookies are tiny text files that are saved on your hard drive and assigned to your browser. They transmit certain information to the site that placed the cookie (in this case that will be us). Cookies cannot run any programs nor bring viruses to your computer. They serve the purpose of making internet services in general more user-friendly and effective. You are free to configure your browser settings according to your wishes. However, please note that you might then find yourself unable to use all of this website’s features. Apart from a solely informational usage of our website, we offer various services for you to use if interested. For those, you will usually have to share further personal data we will then use to provide the respective service. If you want to make orders in our online shop, it is required for concluding the contract that you disclose some of your personal data we need for handling your order. Indications required for processing the contract are highlighted, all other indications are voluntary. The data provided by you is processed by us to complete your order. In this context, your address data will be handed over to a commissioned shipping company and, if necessary, your payment data to our principal bank. Legal basis for this is Art. 6 para 1. s. 1 lit. b GDPR. You may voluntarily create a customer account, allowing us to save your data for later purchases. When creating an account, your data is saved revocably. You may delete all additional data, including your user account, at any time in the customer section. Furthermore, we may process the data you provided to inform you about other interesting products from our portfolio. For this purpose we use existing information about, for example, products you took a look at. In case you wish to not receive personalized advertisements, you may object at any time by writing a message to the contact details listed under No. 1. Due to commercial and tax law requirements, we are obliged to save your address data, payment details, and order details for ten years. They will be deleted once the retention obligations run out. For questions of any kind, we offer the possibility of contacting us using the e-mail address of the customer service provided on the website. Your data will be processed to answer to your request. Data processing for the purpose of contacting us happens according to Art. 6 para. s. 1 lit. a GDPR based on your voluntary permission. Your personal data will be deleted automatically after your request was taken care of. With your consent, you can subscribe to our newsletter, informing you about our current interesting offers. The legal basis is Art. 6 para. 1 s. 1 lit. a GDPR. For subscriptions to our newsletter, we use the so-called double-opt-in method. That means that after you subscribed, we send you an e-mail to the e-mail address you provided, asking you to confirm your willingness to subscribe to the newsletter. If you do not confirm it, your registration will be deleted automatically. In case you confirm your willingness to receive the newsletter, we will save your e-mail address until you cancel your subscription. Furthermore, we save the respective IP addresses you use and the times of subscribing and confirming. The purpose of this method is to be able to verify your subscription and, if necessary, clarify a potential misuse of your personal data. Mandatory detail for receiving the newsletter is just the e-mail address. Stating additional details is voluntary. Provided forenames and surnames are used for personalizing the newsletter. If the person interested in the newsletter provides their date of birth, they will receive a little something on that day. Voluntarily shared data, too, will be deleted completely upon revocation. Your consent to receive the newsletter can be revoked at any time, resulting in unsubscribing from the newsletter. The revocation can be done by clicking the link provided in every newsletter e-mail, via an e-mail to [email protected] or by sending a message to the contact details provided under No. 1. Data provided by you will not be passed on to third parties. We use email marketing software owned by the email service provider ExactTarget, Inc. 20 North Meridian Street, Suite 200, Indianapolis, Indiana 46204 USA (“ExactTarget”). If you have consented to receive our newsletter and access our site via the newsletter, certain cookies will be installed in your browser. These help us track the effectiveness of our newsletter by showing us if you have opened the email, what parts of the newsletter you found most interesting, etc. ExactTarget also uses web beacons within most of the emails sent. Web beacons (also referred to as “clear GIFs”, or “tracking pixels”) are small images (usually GIFs no larger than 1 pixel x 1 pixel) that are inserted into websites and HTML emails (among others). Web beacons give website operators a better understanding of a user’s interaction with said website. Web beacons fulfil a similar purpose to cookies, but the former remain hidden from the user. Web beacons provide us with specific information, such as whether an email has been opened or not, and whether the user’s system is able to receive HTML emails. Web beacons do not collect any personal information. If you do not wish to receive emails containing web beacons, you can choose to receive your emails in text format (not in HTML format). Web beacons are used in conjunction with cookies. You can, therefore, block any web beacons by preventing the installation of cookies. This can be done by changing your browser settings. We would like to warn you, however, that this action will result in you being unable to enjoy all of the functions of our website. Using the access data for Keller Sports, at the same time you may access other services of Keller Sports (www.keller-smiles.de incl. app and www.keller-studios.de) as well as, for a separate charge, become a premium member, so you will need just one single account for all our services. This applies to both registering at Keller Sports GmbH as well as signing in with a Facebook or Google+ account. Please note though, that if you want to link your Keller Sports account to your other already existing accounts for Keller services, you have to use the same e-mail address respectively it has to be the same e-mail address as for Facebook or Google. When Registering With a Facebook Account Instead of creating an account on our website, you may also sign in with your Facebook account. By registering, you agree to us accessing the following data you provided Facebook with: your forename and surname, your e-mail address, and your gender. Besides, as part of the registration process, you may pick a profile picture and a user name. We also kindly ask you to grant us access to your friends list, so you agree to that as well. You can access this information upon registering under “Double-check the Information You Provided”. Changing your privacy settings respectively the authorizations is possible at any time in the settings of your Facebook account. If, however, you withdraw our access to your public profile, you will no longer be able to log into Keller Sports services using your Facebook account. We use the data from your public profile only to identify you as a user and offer our services to you, and to allow you to take them over into your Keller Sports account. Instead of creating an account on our website, you may also sign in with your Google+ account. By registering, you agree to us accessing the following data you provided Google+ with: your forename and surname, your e-mail address, and your gender. Besides, as part of the registration process, you may pick a profile picture and a user name. We also have to have access to your general profile information at Google+ as well as the e-mail address you provided there. Changing your privacy settings is possible at any time in the settings of your Google account. If, however, you withdraw our access to your general profile information, you will no longer be able log into Keller Sports services using your Google account. We use the data from your public profile only to identify you as a user and to be able to offer our services to you. The tracking measures listed below and used by us are executed on the basis of Art. 6 para. 1 s. 1 lit. f GDPR. By using the tracking measures applied by us, we try to ensure a needs-oriented design and continuous optimization of our website. The other intent of using tracking measures is to statistically measure and assess the usage of our website and for the purpose of optimizing our offer for you. The respective purposes of data processing and data categories can be learned from the respective tracking tools. (1) This website uses Google Analytics, a web analytics service by Google Inc. (“Google”). The usage comprises the operating mode Universal Analytics. It allows for data, sessions, and interactions spread over various devices to be assigned to a pseudonymous user ID and thus analyze the activities of one user on several devices. Google Analytics uses so-called “cookies”, text files that are saved on your computer and allow for analyzing your usage of this website. The information on your usage of this website generated by the cookie will normally be sent to a server of Google in the USA and saved there. In case of activating the IP anonymization on this website, your IP address will be shortened in member states of the European Union or in other signatories of the treaty of the European Economic Area by Google in advance. Only in exceptional cases, the full IP address will be sent to a Google server in the USA and shortened there. On behalf of the operator of this website, Google will use this information in order to analyze your usage of the website, to create reports on the website’s activities, and to perform further services connected to the usage of the website and usage of the internet for the website’s operator. (2) The IP address transmitted by your browser as part of Google Analytics will not be merged with other data by Google. (3) This website uses Google Analytics with the add-on “_anonymizeIp()”. By this, IP addresses are processed in a shortened version, thus a direct personal reference can be precluded. As far as the data gathered on you is connected with any direct personal reference, it will hence be ruled out immediately and as a result any personal data will be deleted right away. (4) You can prevent the saving of cookies by configuring your browser software accordingly; we do however make you aware that in this case you might not be able to use all the website’s features to their full extent. Please note that you would have to select the opt-out on all your devices to consistently prevent being tracked by Google Analytics. Besides you may prevent the tracking of data generated by the cookie and related to your usage of the website (incl. your IP address) by Google as well as the processing of these data by Google by downloading and installing the browser plugin available under this link: http://tools.google.com/dlpage/gaoptout. (5) If you are accessing our website on a mobile device (smartphone or tablet), you will instead have to click this link to inhibit any tracking by Google Analytics within this website in the future. This is also possible as an alternative to the above-mentioned browser add-on. By clicking the link, an opt-out cookie only valid for this browser and this domain will be placed in your browser. When deleting all cookies in this browser, the opt-out cookie will be deleted as well, so you would have to click the link again. (6) We use Google Analytics to be able to analyze the usage of our website and improve it continuously. Thanks to the statistics derived, we are able to improve our offer and make it more interesting to you, the user. For the exceptional cases in which personal data is transmitted to the USA, Google submitted to the EU-US Privacy Shield, https://www.privacyshield.gov/EU-US-Framework. Legal basis for the usage of Google Analytics is Art. 6 para. 1 s. 1 lit. f GDPR. (1) We use the service of Google Adwords in order to draw attention to our attractive offers on external websites by means of advertising media (so-called Google Adwords). In relation to the data of the advertising campaign, we are able to determine how successful the respective advertising measure is. In doing so, we follow the interest to present you advertisements that are interesting to you, to make our website more interesting to you, and to achieve a fair calculation of advertising costs. (2) These advertising media are delivered by Google via so-called “ad servers”. For that purpose, we use ad server cookies able to collect certain parameters of performance measurement, such as displaying advertisements or clicks by the user. Whenever you reach our website via a Google advertisement, a cookie will be saved on your computer. Usually these cookies become invalid after 30 days and are not meant to identify you personally. In this cookie normally the analysis values unique cookie ID, number of ad impressions per placement (frequency), last impression (relevant for post-view conversions), as well as opt-out information (marker that a user would like not to be contacted again) are saved. (3) These cookies allow Google to recognize your internet browser again. If a user visits certain pages of the website of an Adwords customer and the cookie saved on their computer has not run out yet, Google and the customer can see that the user clicked on the advertisement and was redirected to this page. Every Adwords customer has their individual cookie assigned to them. Thus cookies cannot be tracked via the websites of Adwords customers. We ourselves do not gather and process personal data over the course of the above-mentioned advertising measures. All Google makes available to us are statistic evaluations. By means of these evaluations, we are able to realize which of the employed advertising measures proved to be particularly effective. We do not receive further data from the usage of the advertising measures, in particular we are unable to identify users by means of this information. (4) Due to the marketing tools in use, your browser automatically connects directly with Google’s server. We have no influence on the scope and further use of the data generated by Google deploying this tool and thus inform you according to our state of knowledge: Because AdWords Conversion is imbedded, Google receives information that you accessed the respective section of our internet presence or clicked one of our advertisements. If you are registered for one of Google’s services, Google is able to link your visit to your account. Even if you are not registered at Google or are not logged in, there is the possibility of the provider finding out your IP address and saving it. (5) There are different ways for you to prevent taking part in this tracking practice: a) by configuring your browser software accordingly, in particular suppressing cookies of third parties would lead to not receiving advertisements by third parties; b) by deactivating cookies for conversion tracking by configuring your browser in a way that it blocks cookies from the domain “www.googleadservices.com“, https://www.google.com/settings/ads, these settings will be deleted when you clear your cookies though; c) by deactivating interest-related advertisements of providers taking part in the self-regulation campaign “About Ads”, using the link http://www.aboutads.info/choices, this configuration will be deleted when you clear your cookies though; d) by permanently deactivating it in your browsers Firefox, Internet Explorer, or Google Chrome using the link http://www.google.com/settings/ads/plugin. Note please that in this case you might find yourself unable to use all features of this offer to their full extent. (6) Legal basis for processing your data is Art. 6 para. 1 s. 1 lit. f GDPR. Further information regarding data protection at Google can be found here: https://policies.google.com/privacy?hl=en and https://services.google.com/sitestats/en.html. Alternatively, you may visit the website of Network Advertising Initiative (NAI) at http://www.networkadvertising.org. Google submitted to the EU-US Privacy Shield, https://www.privacyshield.gov/EU-US-Framework. (1) Moreover, the website uses the remarketing feature “Custom Audiences” by Facebook Inc. (“Facebook”). It allows interest-related advertisements (“Facebook-Ads”) to be displayed to users of the website over the course of visits in the social network or other websites also using this feature. This follows our interest of presenting advertisements to you that are of interest and thus make our website more interesting to you. (2) Due to the marketing tools in use, your browser automatically connects directly with Facebook’s server. We have no influence on the scope and further use of the data generated by Facebook deploying this tool and thus inform you according to our state of knowledge: Because Facebook Custom Audiences is imbedded, Facebook receives information that you accessed the respective section of our internet presence or clicked one of our advertisements. If you are registered for one of Facebook’s services, Facebook is able to link your visit to your account. Even if you are not registered at Facebook or are not logged in, there is the possibility of the provider finding out your IP address and other identifiers and saving them. (3) Deactivating the function “Facebook Custom Audiences” can be done at https://www.facebook.com/settings/?tab=ads#. (4) Legal basis for processing your data is Art. 6 para. 1 s. 1 lit. f GDPR. Additional information on data processing by Facebook can be found at https://www.facebook.com/about/privacy. For an improved user experience on our websites, we use the software Hotjar (http://www.hotjar.com, 3 Lyons Range, 20 Bisazza Street, Sliema SLM 1640, Malta, Europe). Hotjar allows us to measure and assess the user behavior (mouse movements, clicks, scrolling position, etc.) on our internet pages. For this purpose, Hotjar places cookies (tiny text files) on the user’s devices and is able to save user data such as browser information, operating system, length of stay on the site. The generated information on your usage of this website will usually be transmitted to a server of Hotjar in Ireland. You may prevent this processing of data by Hotjar by deactivating the usage of cookies in your web browser settings and deleting already active cookies. However, we would like to point out to you that in this case you might find yourself unable to use all features of this website. You can find out more about the data processing by Hotjar here: https://www.hotjar.com/privacy. Should you not want a website analysis by Hotjar, you may deactivate it on all websites using Hotjar by placing a DoNotTrack-header in your browser (opt-out). Information on this can be found on the following site: https://www.hotjar.com/opt-out. Furthermore, we deploy a web analysis service by New Relic Inc. (188 Spear Street, Suite 1200 San Francisco, CA 94105, USA; “New Relic”) on the website. It allows us to record statistical evaluations on the website’s speed, determine whether the website can be accessed, and how quickly the site is displayed when accessed. For this purpose, New Relic gathers system data of used add-ons, browsers, as well as hardware, software, and times of use, so-called application data, by placing cookies in your browser. You may prevent this data processing by New Relic by deactivating the usage of cookies and deleting already active cookies in the settings of your web browser. You can find out more about data processing by New Relic here https://newrelic.com/privacy. This website uses retargeting technology by Zeus Enterprises Limited, 5th Floor, Aldgate Tower, 2 Leman Street, London E1 8FA United Kingdom (“Yieldify”). It allows for directly addressing visitors of our websites with personalized, interest-related advertisements, who already showed interest in our shop and our products. The display of advertising media is based on a cookie-based analysis of previous usage behavior, over the course of which no personal data is saved though. In the cases of retargeting technology, a cookie is saved on your computer or mobile device in order to track anonymized data on your interests and then customize the advertisements individually to the saved information. These cookies are tiny text files saved on your computer or mobile device. They lead to you being presented advertisements matching your product interests and informational needs with a high probability. You may object the placement of cookies for advertising intentions permanently by configuring your internet browser in a way that no more cookies are allowed to be placed on your computer respectively that already placed cookies are deleted. Turning off all cookies, however, may result in some of our website’s features no longer being able to be carried out. You can find further information on and the data regulations of Yieldify on www.yieldify.com/terms-of-use/ and www.yieldify.com/cookies-policy/. This website uses affilinet, a service for embedding advertisements. Affilinet places a cookie on the computer of the website’s visitor in order to correctly track sales and/or leads. Affilinet tracking cookies save no personal data whatsoever but only the ID of the intermediary partner as well as the sequence number of the advertising media (banner, text link, or the like) clicked by the visitor and required for processing the payment. The partner ID is used to assign the commission to the intermediary partner upon completing the transaction. You can prevent the installation of cookies by configuring your browser software accordingly; note though that in this case you might find yourself unable to use all features of our website to their full extent. The current data protection clauses of affilinet can be accessed at https://www.awin.com/gb/legal. 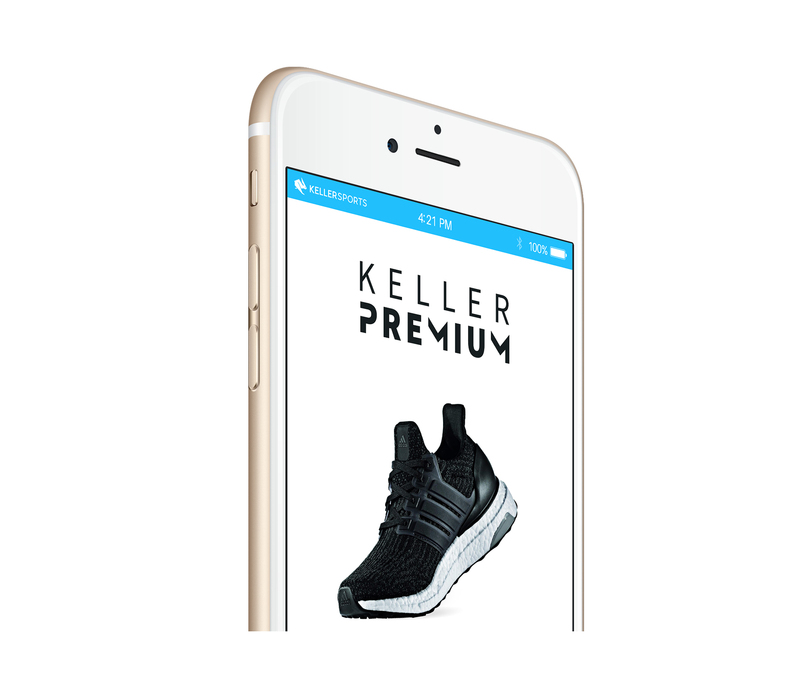 Keller Sports GmbH offers using the services of the online payment provider Klarna AB, Sveavägen 46, 111 34 Stockholm for paying in our online shop, allowing purchases on account or a flexible installment. If the customer selects the payment option Klarna “Purchase on Account” or Klarna “Installment Payment” in the online shop, customer data will automatically be transmitted to Klarna to process the purchase on account or installment as well as to check the identity and creditworthiness. This takes place based on the consent given by the customer pursuant to Art. 6. para. 1 s. 1 lit a) GDPR upon selecting the payment option. Usually personal data such as forename, surname, address, date of birth, gender, e-mail address, phone number, as well as data necessary to process the purchase on account related to the order, such as number of items, item number, invoice amount, and taxes in percent, will be transmitted to Klarna. Transmitting these data happens to allow Klarna to check the identity and creditworthiness and to make processing the payment possible. Keller Sports GmbH will pass on personal data specifically when there is a justified interest for doing so. Klarna transmits personal data they received for the purpose of checking the identity and creditworthiness to credit agencies. For its decisions on justifying, carrying out, or terminating contractual relationships, Klarna gathers and uses data and information on the shopper’s payment history in the past and probabilities for their behavior in the future (so-called scoring). Klarna’s computation of these scores is based on a scientifically sound mathematical statistical method. The customer at any time has the option of revoking their consent of having their personal data processed against Klarna. However, Klarna remains entitled to process, use, and transmit those personal data strictly necessary to handle the payment contractually. Klarna’s data protection clauses can be accessed at https://www.klarna.com/uk/privacy-policy/. In order to display our contents across all browser correctly and graphically appealingly, we use fonts of the provider Google LLC, 1600 Amphitheatre Parkway, Mountain View, CA 94043, USA, (Google Webfonts) on this website. Google Webfonts are moved into the cache of your browser to avoid repeatedly loading them. The connection to Google is built automatically. Theoretically, in doing so it is possible – currently also unclear though whether and, if at all, for what purposes – that Google gathers personal data. The data protection guideline of Google is accessible at https://policies.google.com/privacy?hl=en. Data protection settings for Google can be changed at https://adssettings.google.com/authenticated. Google Tag Manager is used on the website, a service of Google Inc. (“Google”). This service allows website tags to be administered via one interface. The tool Tag Manager itself (implementing the tags) is a cookieless domain and tracks no personal data. The tool causes other tags to be triggered which then might gather data on their part. Google Tag Manager does not access these data. If a deactivation took place on the domain level or cookie level, it remains in place for all tracking tags implemented using the Google Tag Manager. There is no obligation by law to provide data. Some features of our website, however, cannot be used without providing personal data. Due to the development of our website and offers on it or because of changes in legal or official requirements, alterations to this data protection declaration might become necessary.